The main purpose of the Vendéen is for the production of high quality lean meat of an excellent flavour from both pure and crossbred sheep. Here we explain how a selection of flocks produce a premium grade carcase, what results they get and who they supply. The British Vendéen is hardy, early lambing and used as a terminal sire for both pure and cross bred sheep that also has the ability to breed out of season and consistently produce 200% lambing. Lambs sired by Vendéen tups are long with some double muscling and can be taken to heavier slaughter weights without becoming over fat. They typically achieve grades of E,U or R with a fat class of 3L or better, even up to 25kg dead-weight, producing an unusually high meat to bone ratio carcass which wins high praise from butchers looking for that better return. Consumers also find the texture of Vendéen meat to have an irresistible flavour. We run two flocks of prize winning Pedigree British Vendéen sheep and Texels and also a small flock of cross bred ewes consisting of Vendéen x Texels. Our farm consists of permanent pasture and we supplement the lambs using creep feeders. 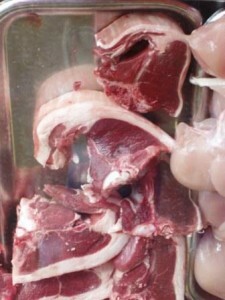 We supply a local high class butcher who buys all our lamb off us. DJ Fry trading as AJ Fry of East Grinstead. The lambs only travel 45 minutes to the local abattoir from our holding. They go at 13 to 14 weeks killing out at 19 to 20 kg.The lambs are killed on the Tuesday and viewed on Wednesday and in the butchers shop a week later. This works very well for us selling a premium grade carcase at dead weight. We have entered many carcase classes and have won several championships or achieved a place in the classes proving the Vendéen kills out well. The flock comprises of approximately 100 pedigree Vendéen ewes of which 60% are put to a Vendéen ram. We lamb the first batch in January to keep ewe lambs and ram lambs to sell as shearlings and for flock replacements. The others are lambed in March and finished off grass. 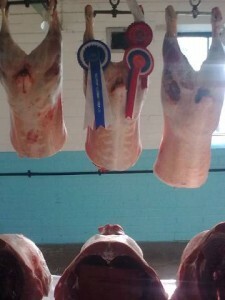 Most go to market, we also sell to the local abattoir with a high percentage of E and U grades, and boxed lamb is available for local customers. We have mainly Vendéen with some Greyfaced Dartmoor pure and crossbred ewes. In the past we have also had Lleyn and Suffolk X Mule ewes. All the ewes are put to a Vendéen tup and we find that the lambs finish well with very little supplementary feed. Lambs are sold direct to a local abattoir that supplies some well known supermarkets, regularly achieving grades of R3L and better. North Lyham farm supplies lamb to two local shops, T.R.Johnson, the butcher’s shop in Wooler and, Sunnyhills of Belford, the local farm shop. Lambs are supplied throughout the year. Pure Vendéen Lambs are supplied May to July and Vendéen Sired Lambs August to April. 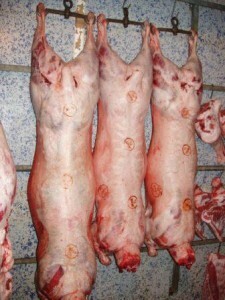 Lambs are taken to the local Abattoir 50 miles away near Newcastle, and are usually delivered to outlets the next day. Weights tend to vary from 19kg to 24kg. At Lower Coombe we run a small flock of British Vendéen Sheep. All our sheep are grass fed on our permanent pasture and we supplement the lambs using creep feeders. 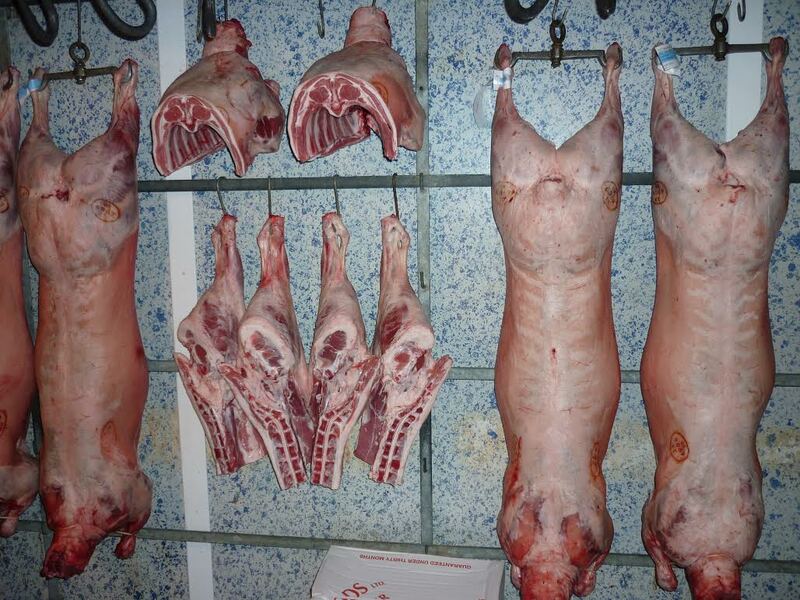 Some Lambs go to our local abattoir, Gages of Ashburton, where they are hung for a week, butchered and packed and we supply local customers with the whole or half lambs. We also let some grow to hoggets as requested by some customers as they have a light flavour and very tender which can be cooked as if lamb. Others we put through Exeter livestock centre our local market on Mondays for finished sheep stores Friday.